Lisa-Alice Julien, Avocate au Barreau de Paris since 2012, has a bi-national university education and French/Italian professional experience. She works in Corporate & Commercial, M&A, Restructuring and Real Estate & Retail, and is frequently involved in Franco-Italian cross-border operations. 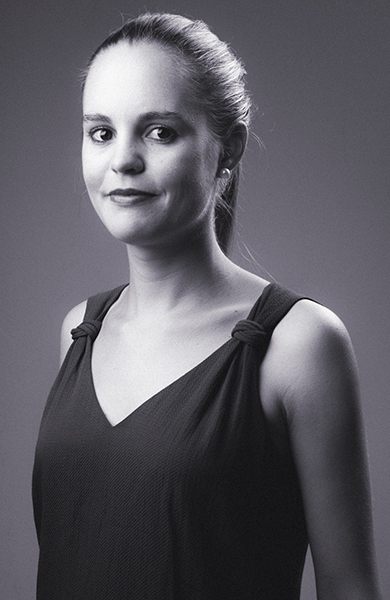 In 2009 Lisa-Alice Julien joined CastaldiPartners, after finishing her university studies in Business administration at the Università Bocconi in Milan and Economic law at Sciences Po in Paris. During her LLM at Boston University, Lisa-Alice Julien worked with the law firm Goodwin Procters in Boston. Dividing her time between Paris and Milan, Lisa-Alice Julien participates in the construction of the bi-national structure of CastaldiPartners, with direct responsibility for French investment projects in Italy entrusted to CastaldiPartners. Her working languages are English, French and Italian. Assisting an Italian transport and logistics group in the acquisition of a business in France. Assisting a French animal nutrition group in the acquisition of a company in Italy. Assisting an Italian electronics group in the acquisition of a French company. Assisting an Italian furniture and interior design group in opening its flagship store in Paris. Assisting a French cooperative group in the agricultural sector in the acquisition of a company in Italy. Assisting an Italian chemical and mining group in the acquisition of a business in France. Assisting a French public lighting service group with the restructuring project of its Italian subsidiaries. Assisting an Italian fashion group with the development of its retail network in France. Assisting a French listed industrial group in the acquisition of a production company in Italy. Assisting an Italian food group in opening its French subsidiary in Lyon. Assisting a French ready-to-wear group in opening its flagship store in Portofino. Assisting an Italian cooperative group in restructuring its French subsidiary operating in the food packaging industry. Lisa-Alice Julien is a member of the Board of Directors of BAA Parigi (Bocconi Alumni Association in Paris) and co-chair of the association of Sciences Po Paris Alumni in Milan.